Teeth whitening aftercare requires simple efforts. After the procedure, it is only reasonable that you want the effects to last as long as possible before another treatment is necessary. This means that if you want the results to last, you need to take aftercare seriously. 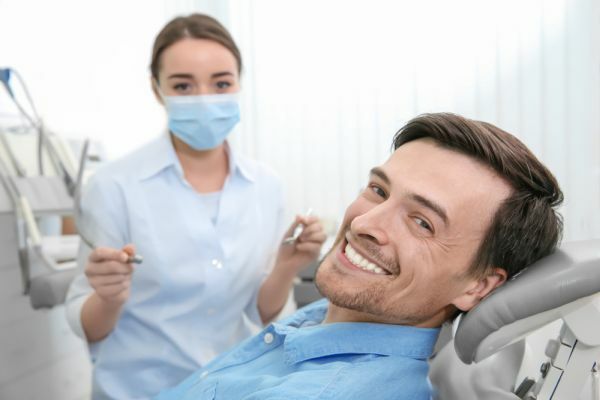 Attending your dental appointments and using the in-house kits the dentist provides are the most important aspects of aftercare. This article focuses on four essential aftercare tips you should note after teeth whitening. Following a teeth-whitening procedure, the first 48 hours are the most crucial to the teeth because they are more prone to blemishes at this time. If you want the best results and prolong your teeth whiteness, you must avoid eating deep-colored meals and using tobacco. Items to avoid include wine, tea, coffee, cherries, chocolate, beets, all kinds of berries and dark sauces. As part of your aftercare routine, you should avoid soda, pickles, lemons, pickles, limes and other foods or drinks containing acids. The teeth whitening treatment weakens the tubules, or pores, of teeth enamel and opens them up. The weakening of the enamel makes your teeth prone to stains and decay after whitening, and the acid further worsens the weakness. 48 hours after the procedure, you can preserve teeth whiteness by eating these foods as part of aftercare. Certain meals help to clean and brush your teeth while eating, thus ensuring they remain white. Such meals include crunchy fruits or vegetables, especially apples, celery, carrots and green beans. They enhance the production and flow of saliva. Increased saliva helps clean the teeth and counteract the acids. The crunchy vegetables can remove temporary stains before they stick. However, if the fruit or vegetable is darkly colored, do not forget to wash your mouth with water afterward so that the colors will not stain your teeth. To complement the fruits and vegetables, you should also increase your intake of dairy products and high-calcium meals. The nutrients and minerals in these meals will keep your teeth healthy and will defend against decay. Your teeth will be sensitive after the whitening procedure. You should generally avoid meals that are either too hot or too cold. Buying toothpaste designed especially for sensitive teeth will help to reduce potential discomfort. It is advisable to avoid eating the wrong foods or drinks as much as possible. If the items have nutritional benefits, you can consume them, but you must rinse your teeth afterward or brush them. If brushing is not an immediate option, keep sugar-free gum handy to keep your teeth free of decay and prevent staining. Depending on the type of teeth whitening procedure, your teeth should retain their whiteness for at least a year or more with proper dental care. If you have questions, feel free to reach out to the dentist to address your concerns. Request an appointment in our Fort Lauderdale office here: https://www.smilesbyjulia.com. « Are There Any Dental Problems Related to Diabetes?